It’s been quite a while since we last saw Manga Entertainment UK release a Ghost in the Shell title so what can we expect from this new Ghost in the Shell Arise OVA Series and it’s Blu-ray release? 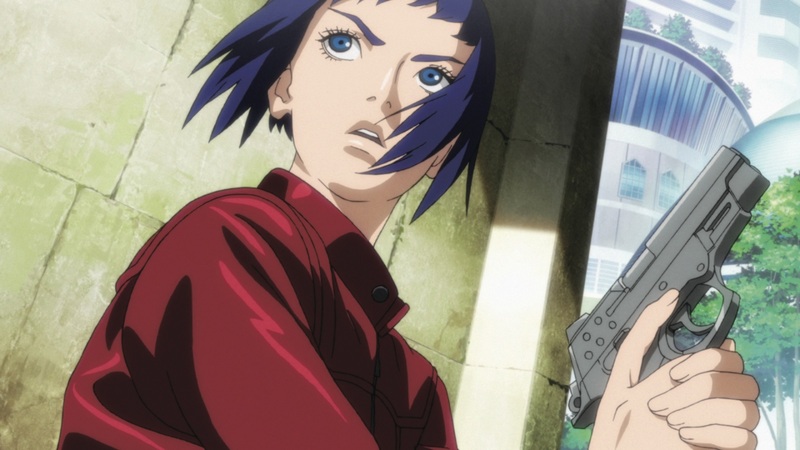 Find out in our Blu-ray Review of Ghost in the Shell Arise – Borders 1 and 2. Border 1: In the year 2027, a year following the end of the non-nuclear World War IV, a bomb has gone off in Newport City, killing a major arms dealer who may have ties with the mysterious 501 Organization. Public Security official Daisuke Aramaki hires full-body cyber prosthesis user and hacker extraordinaire, Motoko Kusanagi, to investigate. On the case with her are “Sleepless Eye” Batou, who believes Kusanagi is a criminal, Niihama Prefecture Detective Togusa who is investigating a series of prostitute murders he believes are related to the incident, and Lieutenant Colonel Kurtz of the 501 Organization who also wishes to keep an eye on Kusanagi. 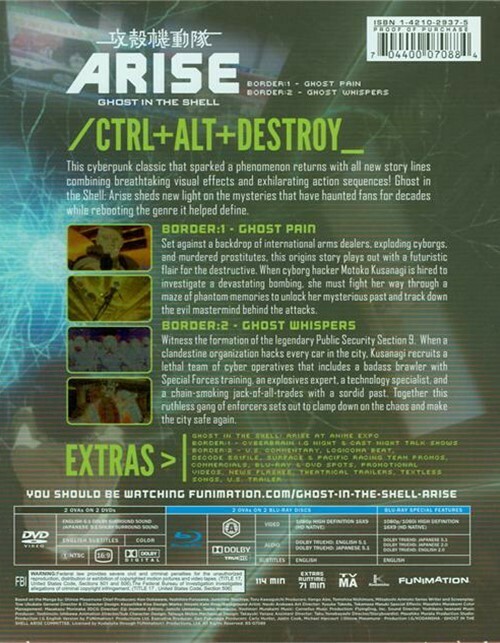 Plot: This set contains Ghost in the Shell: Arise Borders 1 and 2 on Blu-ray and DVD! When cyborg hacker Motoko Kusanagi is hired to investigate a devastating bombing, she must fight her way through a maze of phantom memories to unlock her mysterious past – and track down the evil mastermind behind the attacks. Witness the formation of the legendary Public Security Section 9. When a clandestine organization hacks every car in the city, Kusanagi recruits a lethal team of cyber operatives that includes a badass brawler with Special Forces training, an explosives expert, a technology specialist, and a chain-smoking jack-of-all-trades with a sordid past. Together this ruthless gang of enforcers sets out to clamp down on the chaos and make the city safe again. 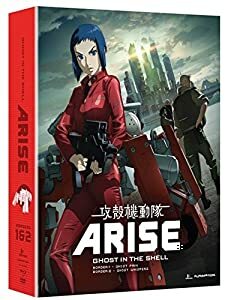 Manga Entertainment UK will be releasing Ghost in the Shell: Arise – Borders 1 & 2 on both Blu-ray and DVD on the 24th November 2014 within the UK.